What's the Difference Between Residential and Business Fiber Internet? For prospective business customers of fiber-optic Internet, demystifying vendor pricing can be a puzzle. Regardless of whether you're looking at high-speed copper cable Internet or fiber-optic Internet, there is often a price difference between business and residential service. Depending on the fiber Internet vendor and the size of your organization, the price difference can range from slight to significant. However, you may be wondering why business fiber Internet service costs more. It's a valid question. After all, the underlying technology is kind of the same. The cost difference can be especially puzzling for small businesses, which may only have a handful of users. Also, business users require uptime guarantees, availability, and bandwidth caps that exceed residential user requirements. 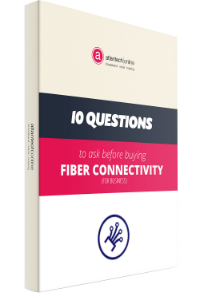 In this blog, we'll explain some of the primary factors that distinguish residential fiber Internet requirements from the needs of your average business. MPLS: Multiprotocol Label Switching is a high-performance telecommunications network to direct data among network nodes based on short paths. This prevents complex routing lookups, which can increase reliability and performance on large, complex networks. BGP: Border Gateway Protocol exchanges routing information, which can be used for routing autonomous systems. On very large networks, this can increase redundancy. IPv4 or IPv6 Subnets: Some businesses may require large subnets for security or speed, which could be routed using Internet Protocol versions 4 or 6. Not every organization has security or user demands that necessitate sophisticated routing configurations. However, for organizations with complex network infrastructure, business-class fiber connectivity facilitates sufficient flexibility to meet requirements. Business fiber-optic Internet connectivity allows the configuration of point-to-point circuits. These can be used for Wide Area Networks (WANs) and for interoffice voice over IP (VoIP) telephony. In addition, business fiber can be configured to facilitate direct access to a data center or cloud services using Ethernet. As companies increasingly use hosted cloud or colocation vendors for their storage needs, their need for quick access to data assets and security does not diminish. Fiber connectivity allows organizations to use the same concept for direct connectivity to on-site storage resources, also known as Storage Area Network (SAN). By connecting your business directly to your data center or cloud storage via a WAN, there are significant availability, speed, and security gains. 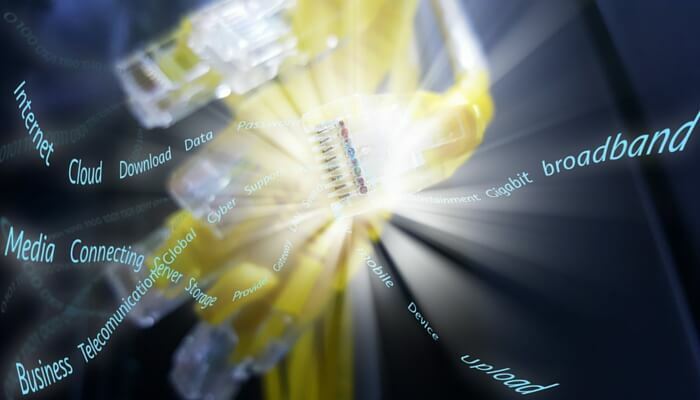 The potential for sophisticated configurations and direct connectivity to your data center are among the primary differences that can drive higher costs for business-class fiber-optic Internet connectivity. However, there are a few more differences that bear mention. However, details can vary slightly among fiber vendors. Some organizations may prefer to use their own routers or other equipment for business fiber-optic Internet connectivity. Business-class Internet allows flexibility in the types of equipment used, which can vary according to a company's network requirements. In other cases, purchasing the needed equipment provides benefits in terms of tracking the lifecycle of telecommunications equipment and expense management. Regardless of why companies decide to use self-owned equipment for fiber-optic Internet network, you aren't forced to rely on vendor-issued or owned items. For domestic fiber Internet users, typical vendor packages carry a dynamic IP address that could change with time. Business fiber Internet and high-speed Internet typically carries the promise of a static IP, which will not change. A static IP is necessary for configuration of business applications, including on-site hosting. Static IPs are also necessary for the creation of a VPN that off-site workers can access securely. "Contention ratios" are a technical term for the absolute maximum number of users who can concurrently use a fiber Internet network. A contention ratio of 100:1 means that a fiber Internet network is built to support a maximum of 100 users. Domestic customers rarely have a need for high contention ratios, due to a typically small number of users within a network, even during periods of peak demand. In contrast, a fiber Internet vendor for business is likely to allocate a high contention ratio to ensure continued access to data, even when bandwidth is at a premium. Residential users of high-speed copper cable Internet would sometimes choose to upgrade speed to accommodate streaming habits or multiple users during periods of peak demand. Fiber-optic connectivity has largely negated the need for residential users to perform upgrades, due to the higher speed and bandwidth capabilities of fiber. However, some businesses with aggressive growth plans may need to opt for a fiber-optic Internet connection that is readily scalable or can be upgraded with relative ease. Depending on your vendor agreement and business requirements, a higher price for business fiber could reflect this flexibility. While some disreputable Internet providers significantly oversubscribe their residential networks, this practice is becoming more rare. With business fiber Internet, you should not have to face the risk of oversubscription. The right fiber vendor will actually plan a contention ratio that exceeds your needs for additional reliability, to ensure business continuity and high-quality business communications. Some Internet service providers offer lower costs to residential users based on diminished customer service availability. While business users may have access to 24/7/365 expert support, residential users have less and lower-quality access to help. While this practice is somewhat common, it is not entirely widespread. Both residential and business users should ensure a prospective fiber Internet provider can deliver on their customer service promises, based on current client testimonials. Regardless of your business requirements, never settle for anything less than a vendor with 24/7 live and expert support. Another significant difference between business and residential fiber is service level agreements (SLAs). For most residential Internet users, a loss of Internet connectivity is unacceptable, but still just represents a mild inconvenience. The results of a loss of Internet connectivity can be devastating to business productivity. While fiber Internet eliminates many of the reliability concerns associated with high-speed cable Internet, business continuity is still critical. Many business fiber agreements include an uptime guarantee of at least 99.99%, or in the best cases, 99.999%. This is accomplished through superior vendor continuity planning, which can include redundant Internet connections for quick switchover if fibers are cut or subject to vandalism. For business users, the peace of mind associated with service level agreements is generally worth the premium price tag. Regardless of your businesses' needs, fiber-optic Internet connectivity can lend significant gains in speed, bandwidth, and reliability. If you're considering the upgrade, business-class fiber-optic Internet connectivity can offer significant room to perform custom network configurations and establish direct access to your data center. Contact Atlantech Online for more information on residential and business fiber Internet installations, as well as unified business communication solutions for companies of all sizes.